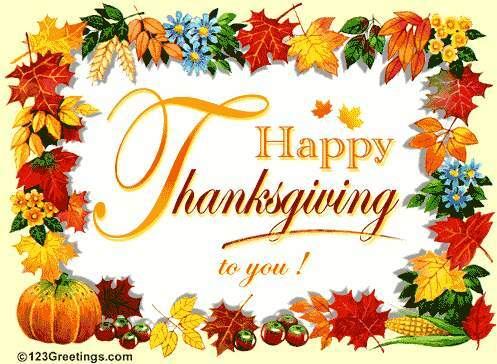 On Thursday, November 24, Americans will celebrate Thanksgiving Day. For many offices and businesses, it will be a four-day weekend holiday break. Celebrated yearly on the fourth Thursday of November, Thanksgiving Day is a special time of the year for families and friends to get together for a special meal and give thanks for the blessings in their lives. After celebrating seven Thanksgiving meals since moving to California, I have observed that turkey with stuffing and gravy, cranberry sauce, and pumpkin pie are a must on this special day. I am not a great lover of turkey, but I am developing an appreciation for pumpkin pie. I remember, with thanks, last Thanksgiving when I shared the best pumpkin pie, so far, at the home of a writer friend. When the United States was an agricultural-based society, Thanksgiving was a time for celebrating the end of the harvest season and of giving thanks for a good harvest. In our industrialized and technological world, we can measure our harvest by the returns from our businesses, factories, professional pursuits, and jobs. During these times of job shortages and dwindling consumers for our products and professional services, the harvest is poor or lost for millions of families across the United States and many other countries across our planet. Without assistance, the homeless, jobless, and hungry among us will have no cause for celebration or for giving thanks this Thanksgiving. I give thanks, this Thanksgiving, for the benefactors and charitable volunteer workers who provide assistance to our families in crisis. I give thanks for the protestors of the OCCUPY Movement across our nation who are facing the cold, pepper spray, tear gar, police beatings, and arrest to clamor for an end to the growing inequality among us: the Top One Percent get richer while the remaining 99 Percent get poorer. I give thanks for the people currently in my life, especially my two sons who make it possible for me to be a writer; for the people in journeys past who reached out a hand or changed the course of my life; and for the beauty and gifts of our planet. If, this thanksgiving, your life is more like that of a person groping in the darkness along the edge of a precipice, know that help comes in unexpected ways from strangers who care. Give thanks for the miracles each day brings. You are not alone.